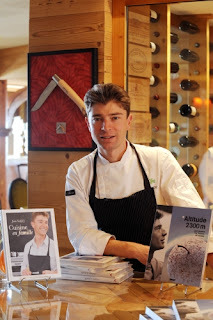 VAL THORENS, France - It's tough at the top they say, and few chefs are better placed to tell you than Jean Sulpice, whose two-star restaurant L'Oxalys perches 2,300 meters (7,500 feet) up in the French Alps. Though born and bred in the region, when Sulpice took over the mountaintop eatery in the trendy ski resort of Val Thorens in 2002, aged just 24, he knew he had his work cut out for him. Val Thorens has only two seasons -- buzzing from December to April, and dead the rest of the year -- and there was no market for the kind of cuisine he wanted to offer. "People in the mountains didn't do good food," the fresh-faced 33-year-old, who today runs Europe's highest Michelin-starred restaurant, told AFP. "You ate raclette and tartiflette." These two dishes, which make a virtue out of easily available ingredients -- melted cheese, potatoes and cured meats -- were standard resort fare. "There was no such thing as gastronomic food," Sulpice recalled. The isolated site brought obvious logistical challenges, with deliveries of basic ingredients liable to be suddenly cancelled because of snow on the roads. But the altitude also posed unique challenges, forcing the chef to relearn parts of his trade from scratch. That high up, for example, water boils at 90 degrees C (194 degrees F) instead of 100 -- which means cooking an egg takes twice the time. "I also had to invent my own type of bread because the first few years it would turn dry as biscuits" because of the low humidity levels, he said. Likewise, he had to deal with exploding packaging, because of the atmospheric pressure, as well as wine ageing faster than it should. And sometimes without serving a single customer for three days running. Though a die-hard mountain-lover who goes climbing in between seatings, one thing Sulpice really struggled with was the thick blanket of snow masking all surrounding plant life for six months of the year. "When you have a blank page in front of your nose every morning, your inspiration is blank too," he said. "There was no smell, no market, no produce. At Val Thorens, you don't see spring." But that did not stop Sulpice landing his first Michelin star in 2006, and then a second in 2010. And in increasing numbers, the tourists left their cheese and potatoes behind them. "Today, there is a clientele who come specially to Val Thorens to eat here," he said. Sulpice's success story is part of a wider trend, which has seen French ski resorts shift their restaurant offer upmarket over the past decade, to cater to increasingly monied tourists. The nearby resort of Courchevel -- popular with Russian billionaires -- counts seven Michelin-starred restaurants, one of the highest concentrations of the coveted stars in the world. But for all that L'Oxalys is now among the Michelin elect, the atmosphere remains relaxed at the restaurant. Still in their ski kit and moon boots, holidaymakers tuck into a shoulder of lamb confit with coriander, in a mountain cabin setting with large bay windows opening onto snow-capped peaks. 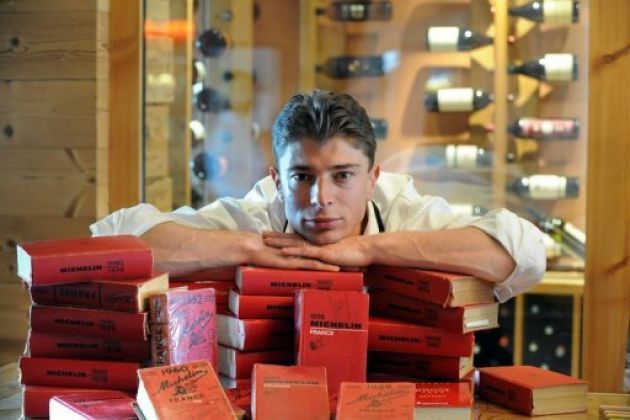 At the entrance to the restaurant is an impressive collection of Michelin guides, the oldest dating back to 1908, bequeathed to Sulpice by his grandfather, who ran a hotel and restaurant in the Savoie region. The young chef is perpetuating a family tradition, following in the footsteps of an uncle and a great uncle, the latter also a Michelin-star winner. And L'Oxalys remains a family affair: his wife is the sommelier and he supplies meals to his son's local nursery school. Sulpice says he discovered a passion for food at the age of 14, following a stint of work experience in a restaurant. 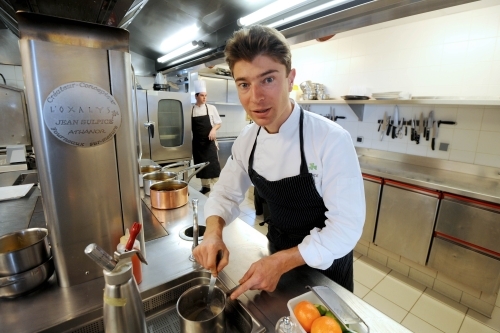 He was not yet 19 when he joined the team of the star chef Marc Veyrat. 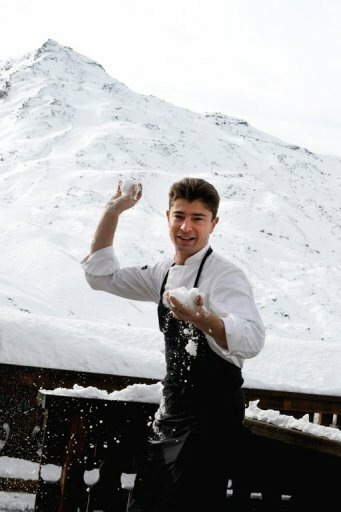 "He was a young man full of enthusiasm, of energy and generosity," recalls Stephane Froidevaux, who was Veyrat's sous-chef at the time. "He will end up with three stars for sure". Sulpice, who is already on to his fourth cook book and gives cooking classes at the restaurant, will not speculate on his chances at a third star -- but admits it would be a crowning glory. "When you have the bug, it's a natural ambition."